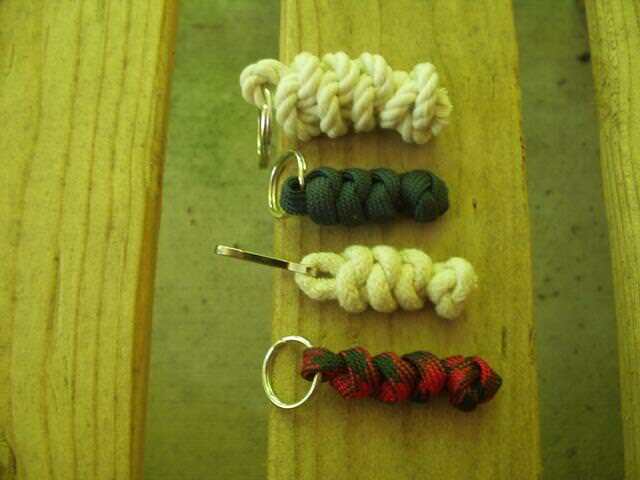 The snake knot combined with the overhand, overhnand stopper knot makes a nice zipper pull, lanyard or key ring fob. The ends can be trimmed close even when using natural matetial. The locked snake knot is on the left, the unlocked version is on the right. 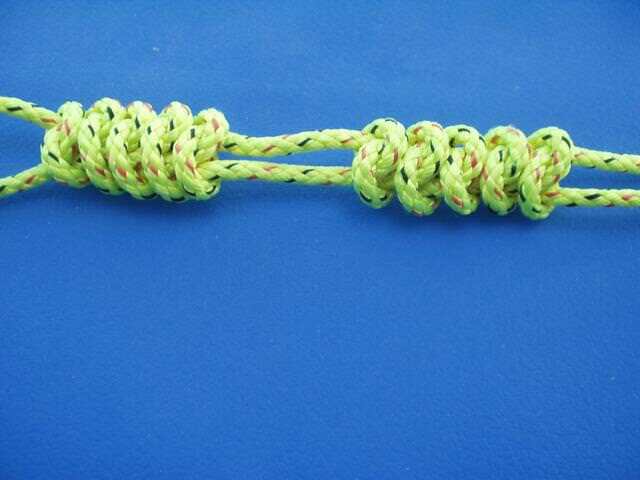 Each half knot in the locked version is tied into the preceding half knot. In the unlocked version the half knots are joined together in pairs.